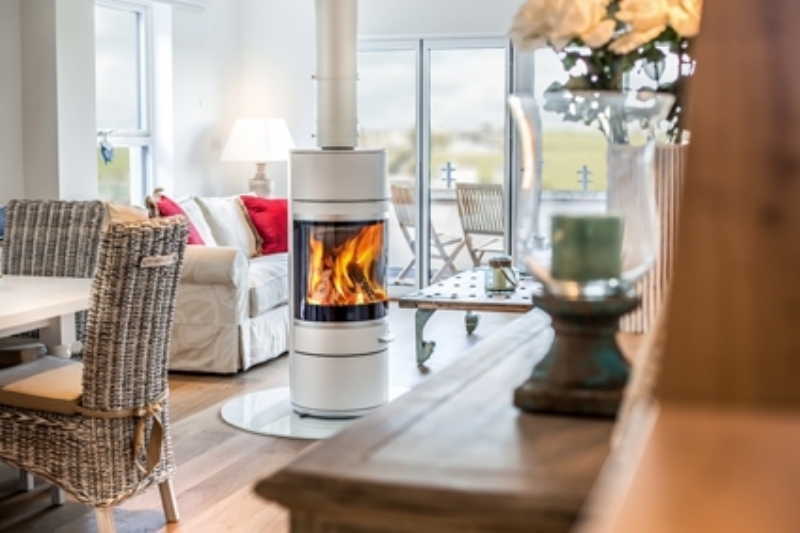 Scan 83 in white wood burning stove installation from Kernow Fires. 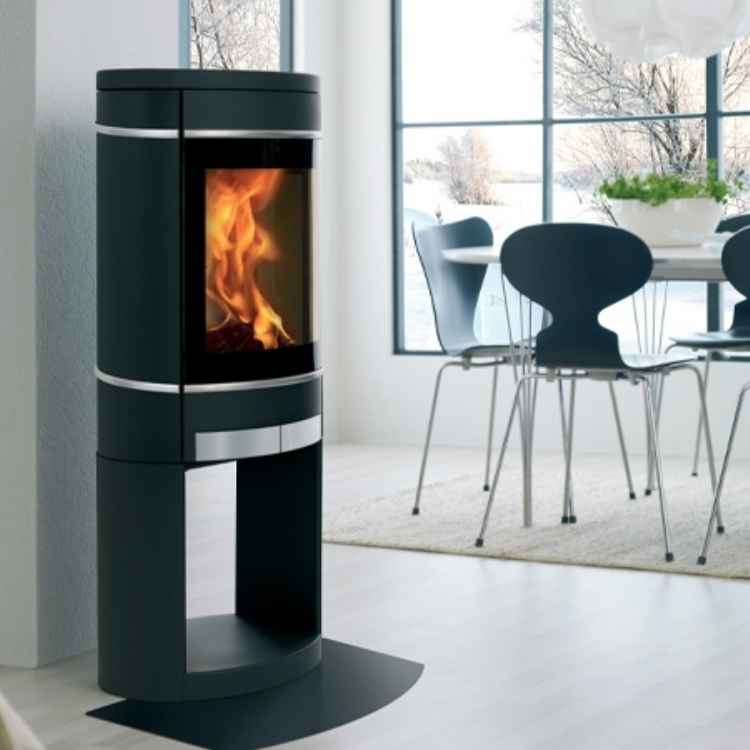 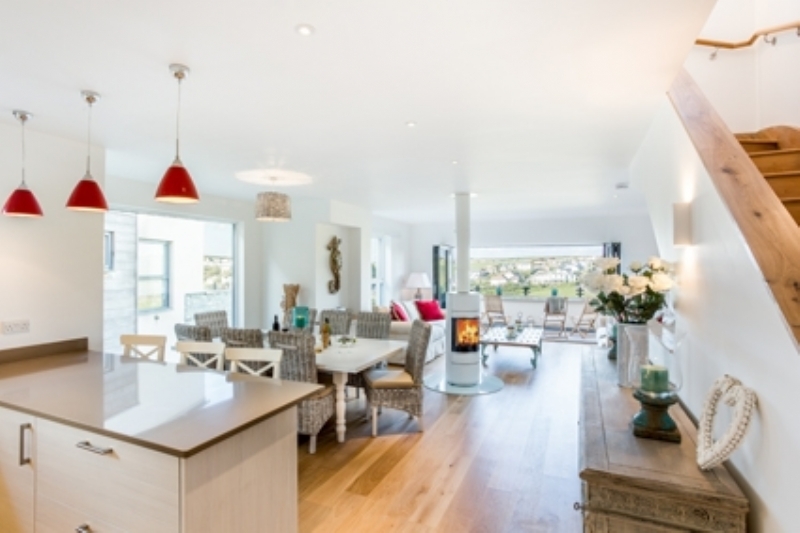 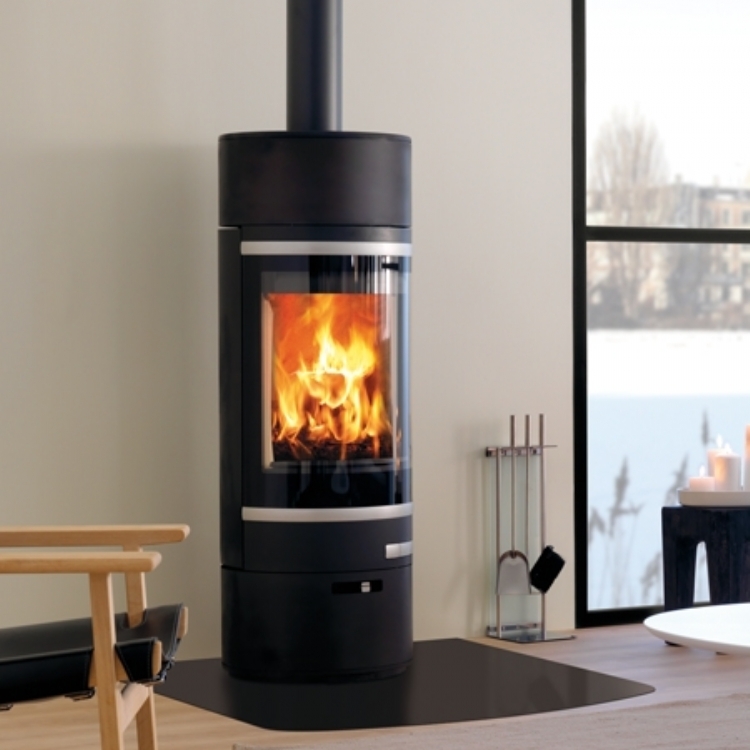 Customer Aspirations: A stove that can be seen from every part of the open plan living space. 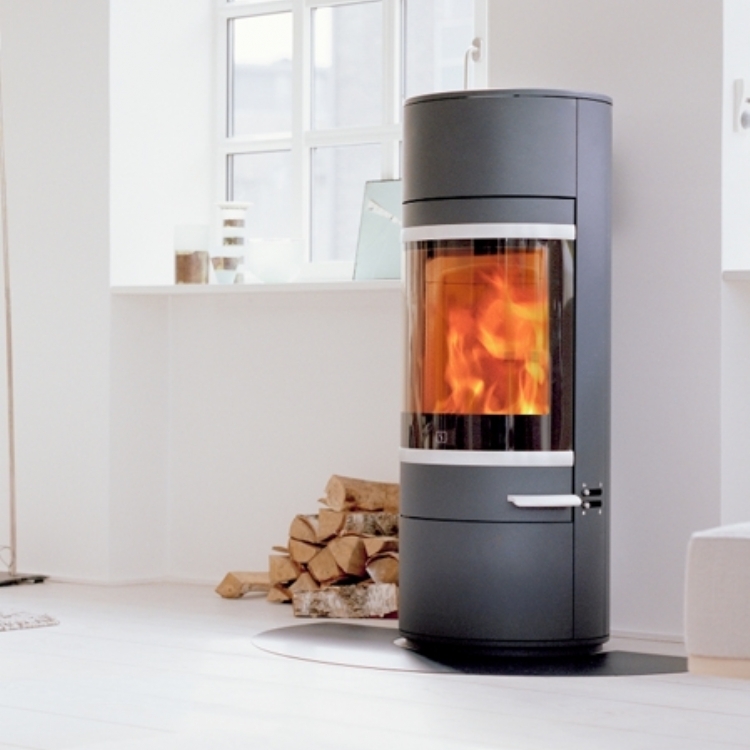 The Scan 83 in white on a rotating base was a brilliant choice for this situation. 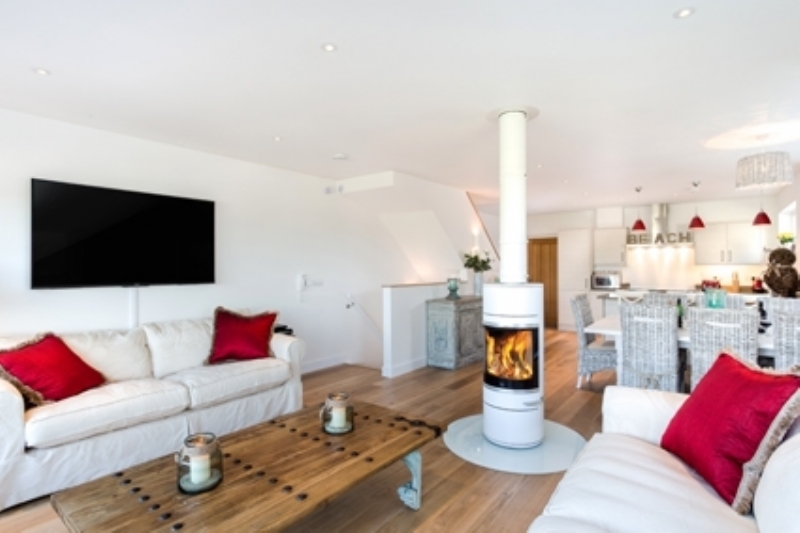 The chic white finish complements the decor, making a dramatic focal point when lit and is completely unobtrusive when cold. 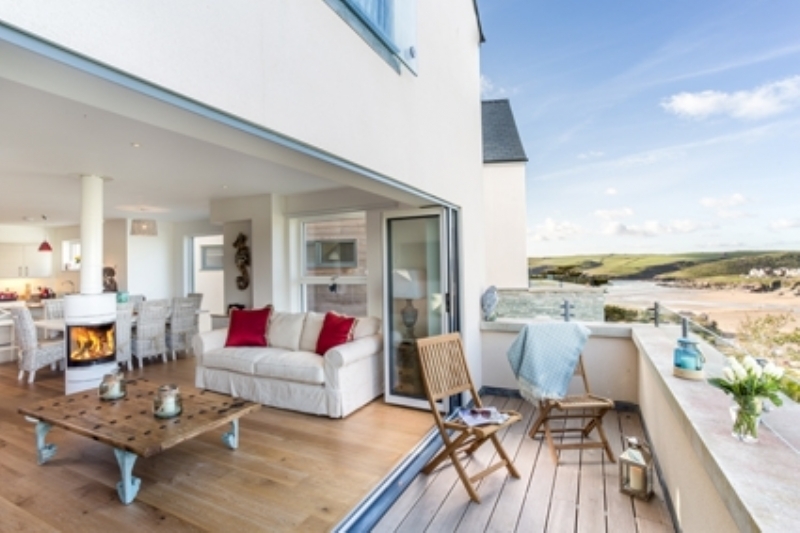 These photo's were provided by Latitude 50 who have the property listed for holiday lets.